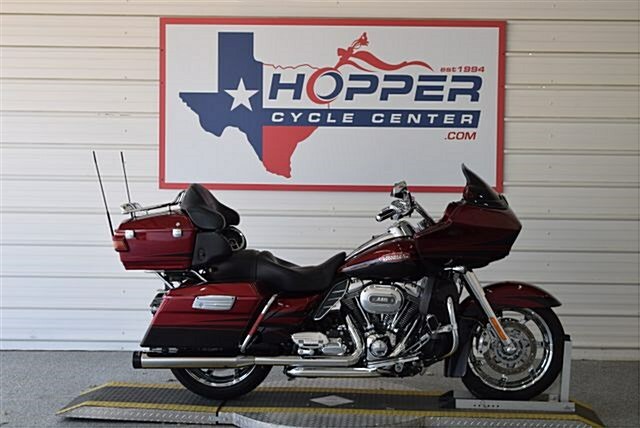 You are looking at a 2011 Harley-Davidson CVO Road Glide Ultra with only 50,481 miles on it. It is burgundy in color and powered by a 110 ci engine and 6 speed transmission. This Road Glide had a new motor replacement done through Harley approx 3,000 miles ago and the paint won't disappoint you. It has Rinehart racing mufflers and custom bars. We inspected and test rode the bike. The bike has been serviced and is ready for your garage. Got a trade in? Don’t worry, we accept most all titled vehicles for trades. **This bike is a one-owner and super clean. Comes with all the service records from the Harley shop. Don't miss out on a great bike and an unbelievable price! !